Once I had lunch with my colleagues at one of the newly opened local eateries situated inside an establishment just across our workplace. We just heard that their specialty dishes are local skewered meats and seafoods, and they are being frequented by patrons for their affordable barkada (group) packaged meals and unlimited service of rice. To be honest, I was really after the unlimited rice as I was so famished that day. It was the restaurant's soft opening and lunch time when we went there so the place was naturally jam-packed. We took the first vacant table nearest to the air conditioner, placed our orders and waited for not less than 15 minutes with high hopes that we would later walk out the door carrying our gastronomically satisfied stomachs. When the dish was served, my attention instantly went to those bright yellow looking lumps of rice laid over the banana leaves amidst all those sorts of barbecue. I took a quick glance back at the menu to check the name and it was written, "unlimited Java Rice." Well, the unlimited part is really cool, isn't it? Could java rice have actually originated in the Philippines or somewhere else? Unlike the typical steamed white rice, java rice was aromatic, savory and richer in flavors. Its brilliant yellow appearance made it look more appetizing and inviting. The buttery texture of the rice grains paired very well with the grilled dishes sided with either spicy vinegar dip or atsara (local pickled papaya). Definitely, the skewers became more enjoyable to eat with that fantastic and sought after yellow rice. As you could guess it right, we went back to our respective workstations, happily and slightly bloated. That was a great lunch we had, worth our time and hard-earned pennies. The foodie in me later began talking to myself, I would have to replicate the yellow rice when I get home. I got really curious. I wanted to know how the rice was prepared, and where it came from so I consulted Google. I got thousands of recipe but with no definite and well-founded facts as to its etymology and origin. Quite frustrated on that part, I made my own presumptions and then several thoughts aroused in my mind. 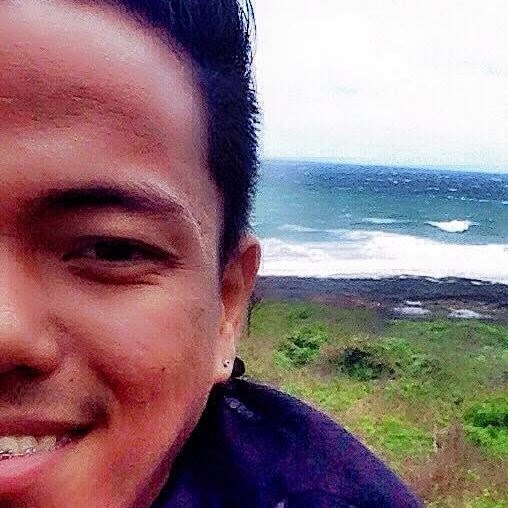 First, would it be possible that it came from Java, one of the islands situated in Indonesia, as the name suggests? Or it must be derived from other well-known traditional Indonesian rice (from an island near Java perhaps)? I could not discount the possibility of Hispanic influence. This could be among the multitude of dishes that we inherited from our Spanish forefathers. Taking a closer look at the rice dish, it appeared and tasted like paella minus the visible proteins. I summed up my suspicions and from there, I got three probable answers - Nasi Liwet, Nasi Kuning and Arroz Amarillo. Filipinos and Indonesians are very similar when it comes to our love for rice, considering the fact that we are Asian neighbors. We can eat rice at any time of the day as we wish because rice is our very important staple food. In Java, the fifth largest island in Indonesia, there is this very popular traditional rice they call, Nasi Liwet. The rice is usually cooked slowly with coconut milk, spices and other flavoring in a claypot above an open fire, preferably wood fire, and served on teakwood or banana leaves for that added distinct flavor. But unlike java rice, nasi liwet does not have to be yellowish in appearance as it never uses any kind of food coloring. Java rice might have copied its name from the island but it certainly do not originate in Java. Meanwhile, there is a very popular yellow rice dish in Indonesia known as, Nasi Kuning, nasi being “rice” and kuning, “yellow”, or what they also call Nasi Kunyit (turmeric rice). 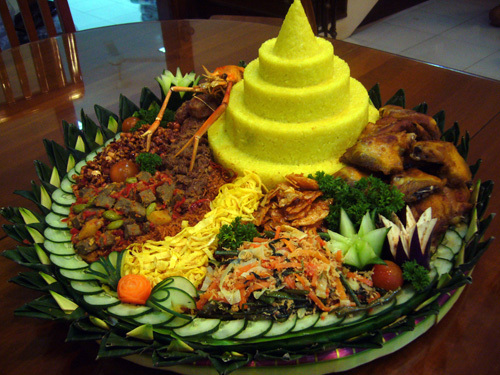 It is usually presented like a towering heap of cone, called tumpeng, surrounded with numerous Indonesian-based curries and delicacies, and usually prepared during festivals and other special occasions. Just like nasi liwet, nasi kuning is also cooked with coconut milk but derives it yellow hue from the turmeric spice. The appearance maybe similar to java rice but they still greatly differ in taste. 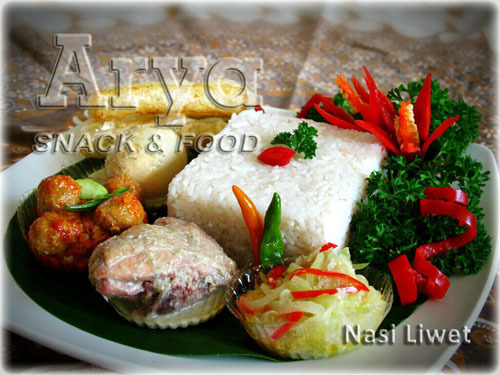 Nasi kunyit is usually flavored with numerous herbs like salam leaves, bay leaves, lemongrass and pandan. Furthermore, java rice is not cooked with coconut milk. Aside from the yellow color and appearance, nothing else was borrowed. Composition, texture, taste and appearance-wise, Arroz Amarillo might be the one closest to our java rice. 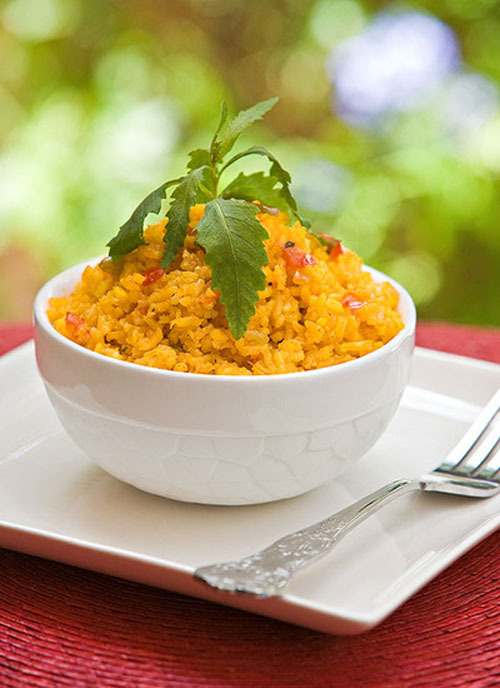 Popular in Spanish, Cuban and other Latin American cuisines, arroz amarillo is similarly cooked in annatto or achiote oil, a natural food coloring where it derives its bright yellow look. Saffron and paprika are also often used. Spanish yellow rice is sometimes mixed with chicken stock and boosted with cilantro, parsley, tomatoes, capsicum, garlic and other spices. How it jumped from Spain to Java? That still remains a rhetorical question to me but at least, I have found my closest leads. Java rice is a product of creative juices of Pinoys. If I have to make my personal conclusion, java rice, as a result of unification of different cultures, flavors and influences, should be a product of creative juices of the Filipinos. Pinoys love to borrow and incorporate ideas and translate them into their own by innovating and adding a personal touch to it. I remember a friend once told me, “Pagsama-samahin natin lahat ng masasarap para masarap din ang kalalabasan.” (Combine all things delicious so the end product will be delicious.) That is what Filipino cuisine is all about. Filipino chefs often create masterpieces out of "a little" something taken from many things. But it is as well worthy to note that a little bit of everything could already mean everything. If that is the case, who would wish to seek for more? In a large saucepan heat the oil and annatto. Steep the seeds to extract the orange or red color. Discard the seeds. Click here for the step-by-step procedure. Sauté the garlic and onion in annatto oil until fragrant and translucent. Add the grated ginger and chicken bouillon if using. Keep stirring until chicken granules are diluted. Mash the rice with clean hands or with a large spoon to disintegrate the clumps. Gradually pour the rice in the pan. Keep stirring and mashing with spatula until no more lumps are visible and the rice grains are evenly coated with annatto oil. Add the catsup and soy sauce, and then mix until well blended. Remove from heat and serve warm along with barbecue and atsara (pickled papaya). It works pretty well with one day old leftover cooked rice. The use of butter instead of the ordinary oil takes the flavor into different level. Chicken broth can be substituted from bouillon. Just allow the stock to dry up before serving the rice.